Throughout 2018 we have attended and sponsored events and conferences specific to our sectors. Partaking in these events provide attendees with an insight into who we are and what makes us specialists in our core markets. Listed below are those we attended this year as sponsors and exhibitors. To view those we attended and sponsored in 2017 please click here. 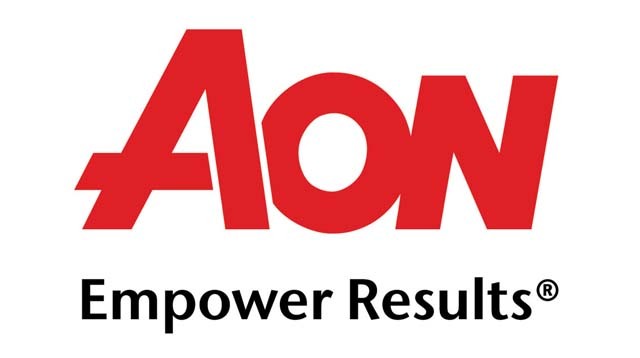 AON convention focuses on empowering teams and leaders –by collaborating and leveraging our talent and capabilities at all levels to empower results for clients, colleagues and communities. Involvement as a Silver Sponsor enabled Ansvar to network with over 200 AON leaders across the organisation. Through client insight, thought leadership and innovation, the conference emphasised the theme that we can we all make a difference by delivering world class solutions and exceeding expectations. $500 Charity Donation Winner: Throughout the conference we ran a successful competition from our exhibition stand. Congratulations went to Gary McMullen from Aon Risk Solutions, who was our lucky business card draw winner, winning a $500 charity donation which he chose to go to Invictus Family & Friends. 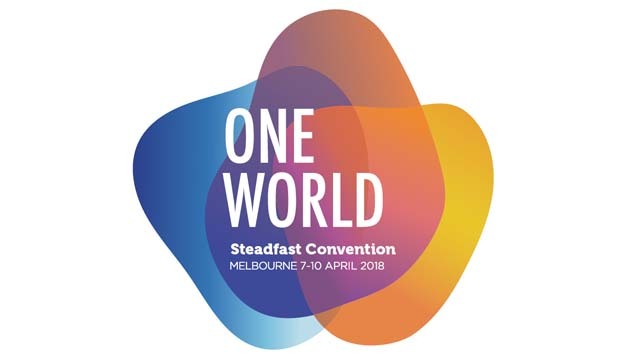 Through the 2018 convention theme “One World” they looked at their increasing scale and reach. The convention provided a platform for brokers to discuss the big issues and share best practice experiences, ensuring brokers deliver great results when returning to their businesses. Exhibiting at the convention had us in front of our target market and demonstrated our level of support and commitment to this extensive broker network and its continued development. Those that visited our exhibition were entered into a competition to win Beats Headphones and an Apple watch. $5,000 Charity Donation: Each year the Steadfast Foundation, assisted by its brokers and partners, choose a charity from the city in which the Steadfast Convention is held. The recipient charity for 2018 was the Reach Foundation and Ansvar proudly donated $5,000 to the Reach Foundation. Pictured below are Ansvar team members and our Beats Headphones winner. The theme for CMA (Christian Ministry Advancement) 2018 Conference was ‘Abundant!’ and we were delighted to be the Premium Sponsor at the conference. The program covered a wide array of relevant topics for leaders and board members of churches and other Christian organisations. 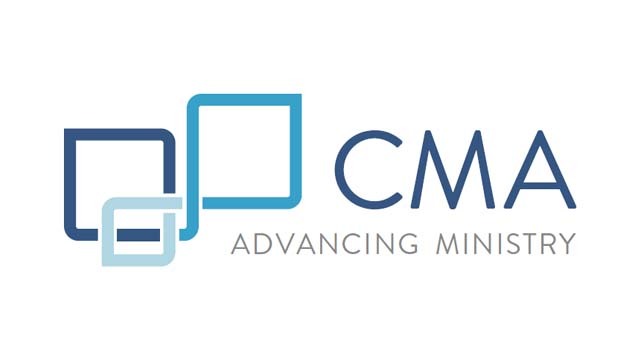 The conference provided an opportunity for the attendees to be updated on the further development of the CMA Accountability Standards and CMA Networks with over 400 church and ministry leaders from 240 organisations attending the event. CMA are a not-for-profit charity serving Australian churches, ministries and Christian business leaders. $500 Charity Donation Winner: Throughout the conference we ran a successful competition from our exhibition stand. Congratulations went to Graham Norton who was our lucky business card draw winner, winning a $500 charity donation which he chose to go to World Vision. 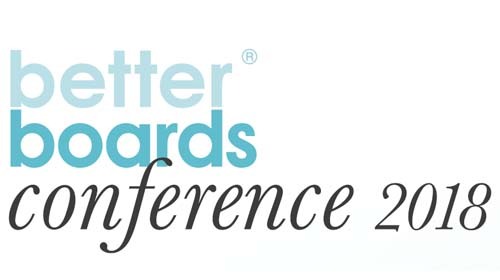 The Better Boards Conference is a unique and highly respected governance and leadership event, one of the largest regular gatherings of leaders from not-for-profit organisations in Australasia. Each year the conference brings together hundreds of board members and CEOs from the Australian and New Zealand not-for-profit world. The ongoing focus of the conference content is governance and leadership for leaders of not-for-profit organisations. $500 Charity Donation Winner: Throughout the conference we ran a successful competition from our exhibition stand. Congratulations went to Lynne Moran who was our lucky business card draw winner, winning a $500 charity donation which she chose to go to Kingborough Lions Childhood Cancer Research Foundation. 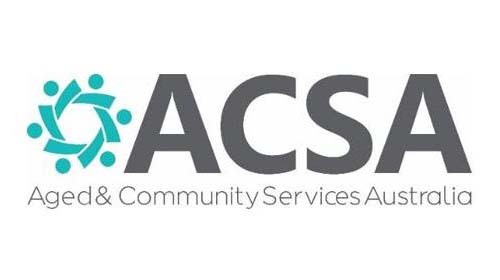 Aged & Community Services Australia (ACSA) is the leading peak body supporting over 700 church, charitable and community-based not-for-profit organisations who provide accommodation and care services for older Australians. ACSA is at the forefront, representing, leading and supporting members to achieve excellence in providing quality affordable housing and community and residential care services for older Australians. The theme for the 2018 National Summit is: ‘What’s Next? Identify, Adapt, Deliver’. Being a Platinum Sponsor enabled us to have high interaction levels with attendees and we also had the chance to showcase our company by speaking at the Gala Dinner. 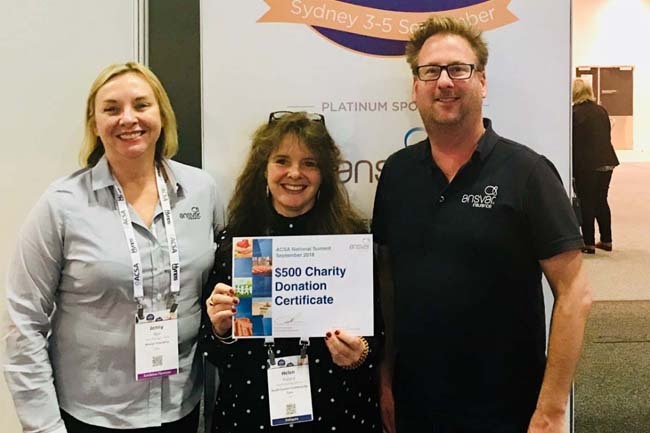 $500 Charity Donation Winner: Throughout the summit we ran another successful business card competition with Helen Pollard winning a $500 donation to a charity of her choice and picked Brightside Farm Sanctuary. Pictured below are Ansvar team members with our $500 charity donation winner and our logo showcased at the Gala Dinner. 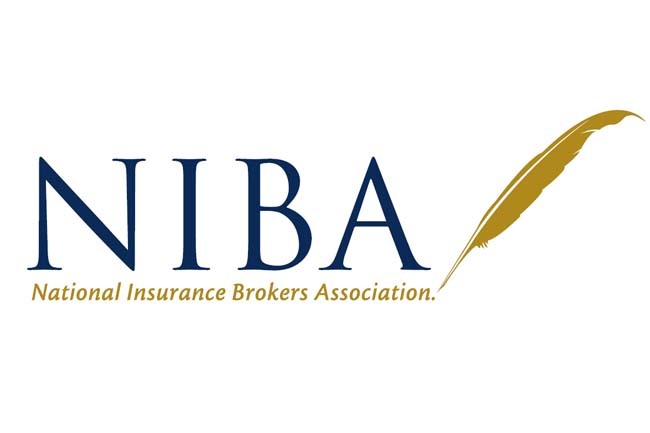 NIBA Convention is the insurance industry event of the year, where brokers from all areas come together, regardless of cluster group allegiances, brokerage size and reach, and age of delegates. This year the theme is Shaping the Future. As technology infiltrates all aspects of our life, including our profession, it has never been more important for brokers to understand developments, work through challenges, and find the best way to shape their approach to their clients, their business and the community. 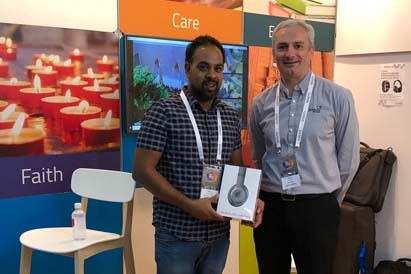 Beats Headphones Winner: Throughout the summit we ran a successful business card draw competition where Rhonda Williams from AJG Hobart won Beats Studio 3 Wireless Headphones. 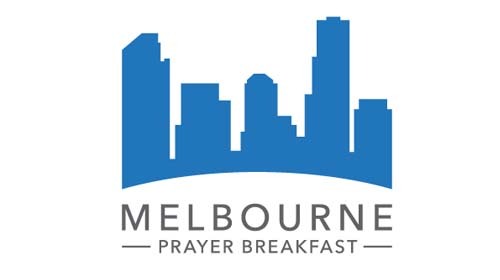 Part of a global tradition, the Melbourne Prayer Breakfast is a networking event bringing together politicians, business people, students and faith leaders. During the early morning event attendee’s will enjoy a delicious breakfast, listen to musical entertainment from a talented artist, pray for those who live and work in our city, connect with others and be inspired by a keynote speaker. Their hope and experience is that the Melbourne Prayer Breakfast will trigger ongoing conversations about faith and the impact we can make in our city. 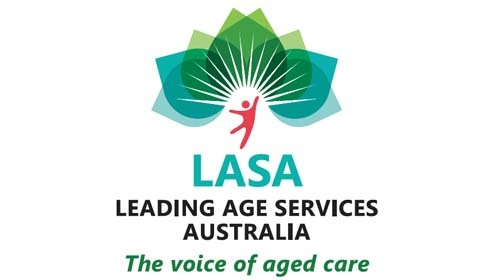 LASA (Leading Age Services Australia) is the national peak body representing all providers of age services across residential care, home care and retirement living. The National Congress is Australia’s biggest aged service industry event attended by leaders and decision makers across the nation’s age services industry. The 2018 Congress will be more dynamic that ever, with industry players keen to meet and discuss new home care reforms, government reviews and the future of government funding as well as innovative ideas for care delivery and new approaches to care models. Last year an incredible 51.4% (594) of Congress delegates were new to aged care, highlighting huge growth and change across our industry. The RMIA’s National Conference is in its fifteenth year and is one of the peak Risk events on the industry calendar. They received extremely positive feedback from the 2017 Conference with 92.5% of delegates advising they would attend a future event. The delegate survey identified the main reason for attending was “knowledge gaining and networking opportunities” and 96.2% rated the event satisfactory to excellent. 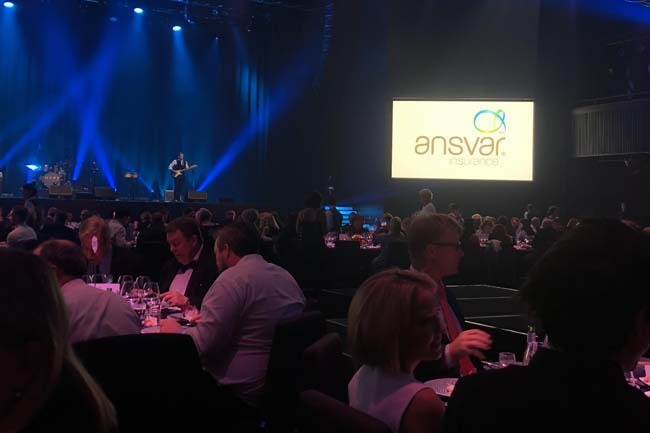 Ansvar are delighted to be this year's Risk Consultant of the Year Sponsor at the Gala Dinner. 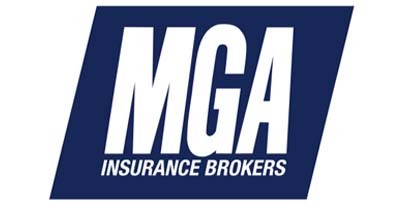 The annual MGA Broker Assistants Conference is highly regarded throughout the industry, especially for the strong, professional development focus. One of the conferences aims was to showcase MGA and the MGA family ethos at its most professional level throughout its flagship events of the year. A cornerstone of the success of the conferences has been via engagement and consultation with sponsors to design conference opportunities, based on the level of sponsorship, which provide a high return on investment, meet the conference aims and are highly valued by all. As bronze sponsors we conducted workshops to all of the Broker Assistants which enabled us to have a high level of engagement with the delegates. CCA's Annual Conference returned to Sydney this year, with an informative, inventive and invigorating two days of international speakers, expert presenters, government representatives and community education provider specialists. 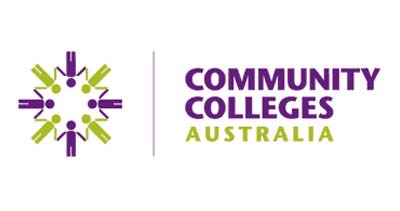 The CCA Conference is the go-to event for community education CEOs, training managers, other senior staff and board representatives of CCA members, other adult and community organisations, policy makers, consultants, researchers and senior State and Commonwealth government staff. 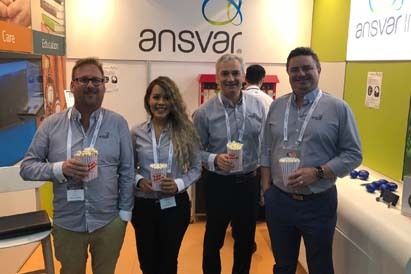 Ansvar were delighted to join Coverforce as Platinum Sponsor.